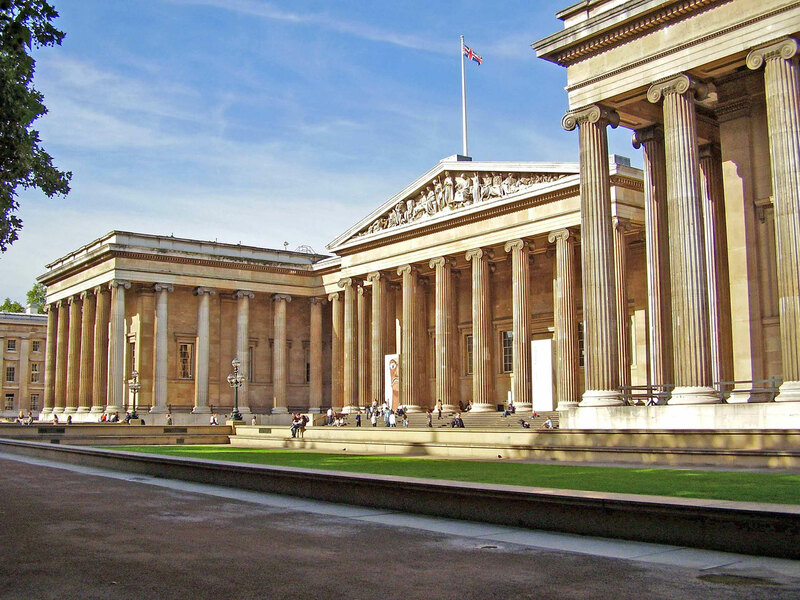 TARA Chairman, David Coulson was invited to deliver a paper at an African Rock Art Conference at the British Museum in London in November 2016. 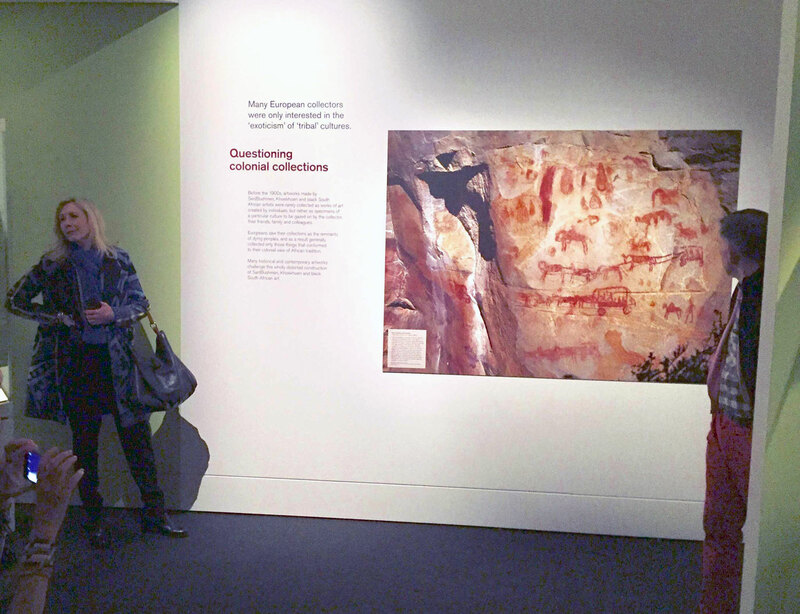 The conference was organised by the African Rock Art Image Project of which TARA was the founder in 2014. The conference was timed to coincide with the opening of an important South African Art exhibition, South Africa, the Art of a Nation. 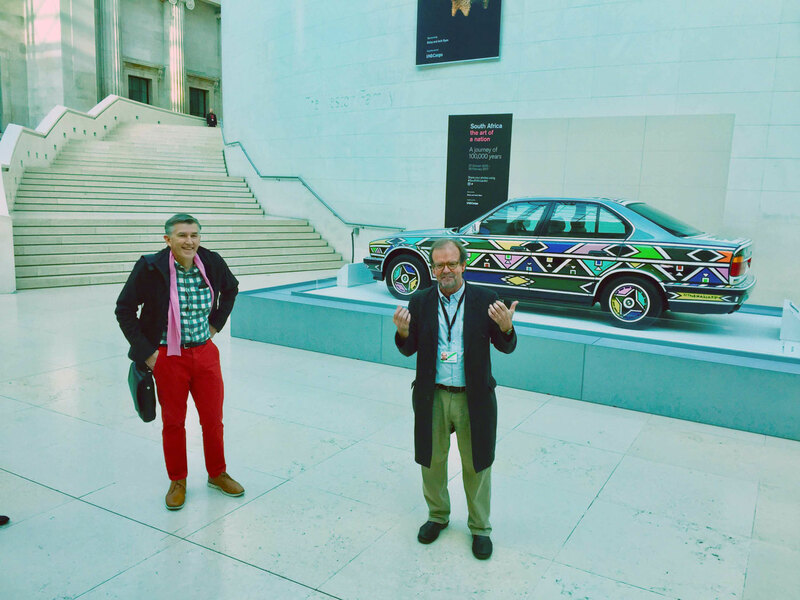 The exhibition was curated by Chris Spring of the British Museum and by the famous South African artist, Karel Nel. 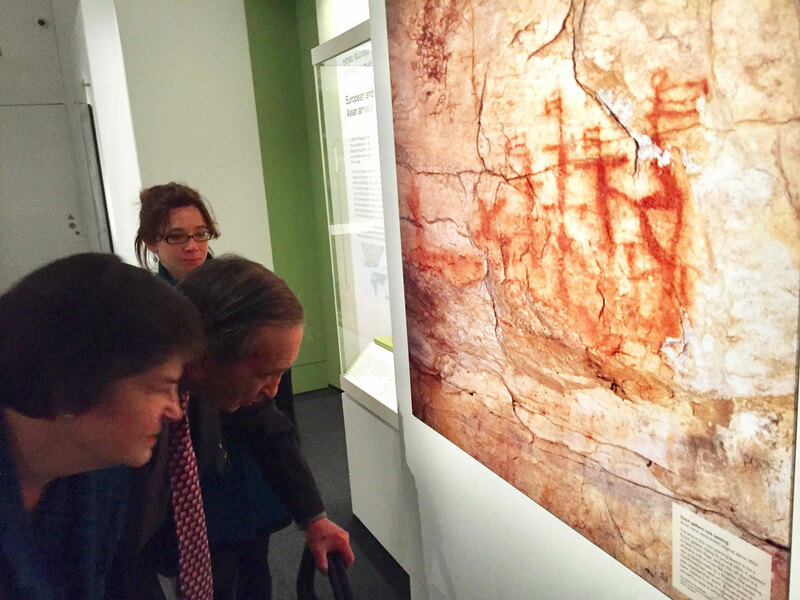 The two curators who David has known for many years gave him a preview of the exhibition. The exhibits included two large TARA images by David of Bushman rock paintings in the South West Cape, South Africa, taken in the 1990s. At the conference, whose central theme was Conservation, David talked about the threat posed by lack of awareness at government levels across Africa and the need to address this challenge. In order to illustrate the issue David used three 2016 TARA projects as case studies in his presentation. A rock art conservation project in Zimbabwe where millennia old bushman paintings are threatened by independent church groups who have “set up shop” inside important caves with rock paintings, some of them classified as National Monuments , where fires burn regularly to keep the worshippers warm destroying the paintings in the process. A project on a small island on Lake Victoria, in Uganda waters where unknown and little known paintings and engravings have been researched and documented. Here TARA has worked with the Uganda Museum and with the local communities to create awareness of the arts importance, both locally and nationally. An important site here has already been badly vandalized. A project in south east Nigeria (Cross River Monoliths) where anthropomorphic and phallic monoliths have been documented including 3D photogrammetric recordings. These monoliths were created centuries ago by forest dwelling peoples and represent powerful ancestral spirits. Unfortunately many have been damaged by fire, vandalism and theft. 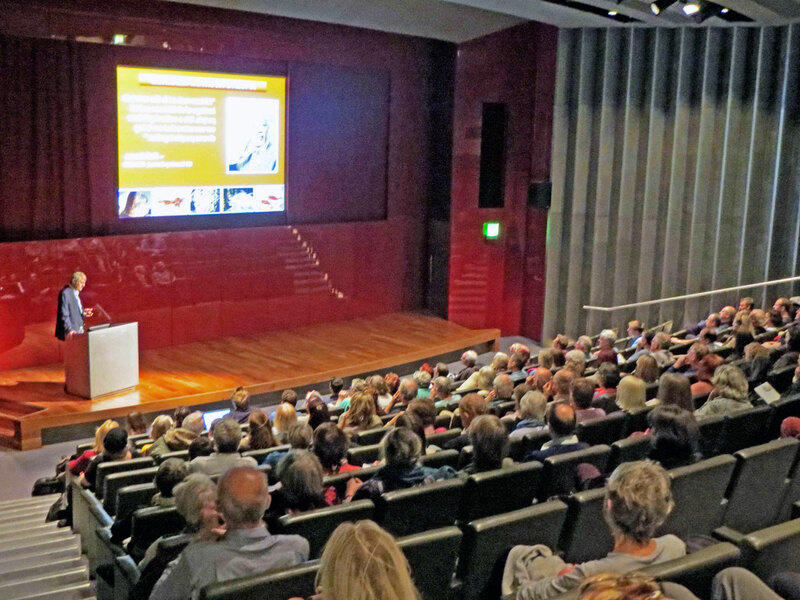 The British Museum conference sought to act as a forum of debate about the different methods in which digital technologies can be used to record, manage and present rock art information in Africa. Attendees discussed the best strategies to deal with the challenges of the digital revolution, considering how to bridge the gaps between institutions, professionals and local communities throughout the continent to protect this unique heritage. The African rock art image project was launched in 2013 to catalogue, curate and disseminate c.25,000 rock art photographs across Africa, originally from the Trust for African Rock Art (TARA), with the generous funding of Arcadia. 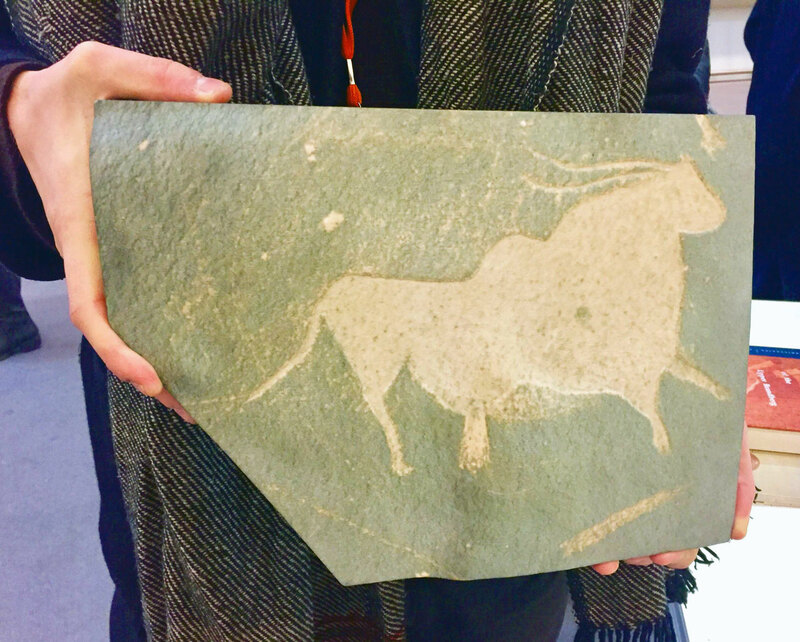 Over a five-year period (2013–2018), the project will catalogue, contextualise and disseminate the core of TARA’s rock art collection, c. 25,000 images from 19 African countries from north, east and southern Africa. They cover the majority of the most important regions of rock art in the continent, as well as an excellent selection of the main styles, chronologies and themes of African rock art. Exhibition curators Karel Nel (left) and Chris Spring (right).